London North West, UK - This bank holiday weekend is a perfect opportunity to spruce up your home or garden by getting the builders or landscapers in, carrying out some of your own renovations or undertaking an exciting DIY project. There’s a whole array of attractive options for you to consider, whether that’s for reclaimed brick water features, internal and external feature walls, pathways, fire pits or pizza ovens to name just a few! Garden furniture, planters and edging can also be made with reclaimed railway sleepers and bricks. 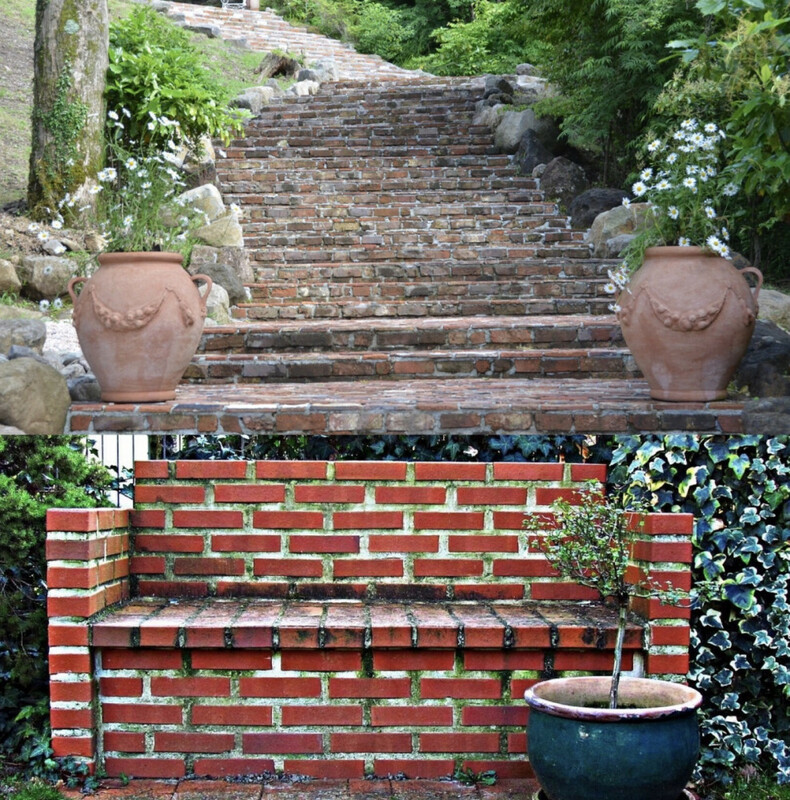 Dazzling brick and natural stone patios or garden steps are another great choice! While plenty of fun, these projects also involve planning. Questions such as “which building materials will I use?” and “how do I get hold of them?” spring to mind. Thankfully here at London Reclaimed Brick Merchants, we’ve got you covered, so there’s no need to worry! We have a diverse and extensive range of stock which holds hundreds of thousands of bricks at any one time. This includes reclaimed and new bricks in a variety of types, colours and textures, all of which are suitable for use in London and the surrounding area. We also have varying grades and styles of Yorkstone flags such as the smooth and thin premium (AKA Cathedral) Yorkstone, the attractive standard riven Yorkstone, and the ever popular crazy paving (random shapes). Both new and reclaimed timber including multiple grades of railway sleepers as well as oak beams are available too. Our large range of goods means we can meet your project needs easily and cater to a huge range of tastes, project types and budgets. If you want to use bricks for a project that requires adding to existing brickwork, look no further than our brick matching service. Our team of expert yard staff have years of experience and can easily help you to find the most suitable match. This service will help make your search for the perfect building supplies as stress free as possible. It’s straightforward and easy, just send us a photo of the brickwork you need to match or bring in a sample, and we’ll show you the most suitable bricks we have. If you know which building materials you want for your project but are left agonising over how you’re going to get hold of them, no worries. Our highly convenient delivery service is on hand to ensure you’ll receive your supplies in a timely manner – often next day. Our fleet of high performing delivery lorries and capable crew operate throughout the working week. These efficient vehicles can carry up to 6,000 bricks and are equipped with HIAB cranes to unload goods easily. If you miss the chance to get a weekday delivery, don’t stress. As part of our convenient and customer-friendly service, our London and Buckinghamshire branches are open on Saturday from 8 o’clock in the morning until 3 in the afternoon. This will give you a chance to come in and take a look at our available stock and collect anything else you might need. So there you have it, with our variety of supplies, brick matching service, speedy delivery fleet and customer friendly opening hours, you have all the ingredients you need to build something new and exciting this weekend! Why not let us help you bring your dream project to life this bank holiday?